Winter weather poses an obstacle to normally active children when it’s no longer easy to jump on a bike and ride or play outside. The American Council on Exercise (ACE) offers advice on how to keep your kids active during the colder months. YMCAs and health clubs offer a warmer fitness alternative to outside and now have expanded programs for kids and parents (e.g., parent/child yoga and Pilates, youth circuit classes and family personal training). Many malls are open early for morning walkers and are a great way to get physical activity with the kids. Parents can split up with their children into teams and each can compete to reach a certain store in the shortest amount of time. Pilarella has established “movement time” during commercials when her children have to get up and move around the house, either to take the dog outside or put away laundry. Parents can also offer rewards for children who do their activities. 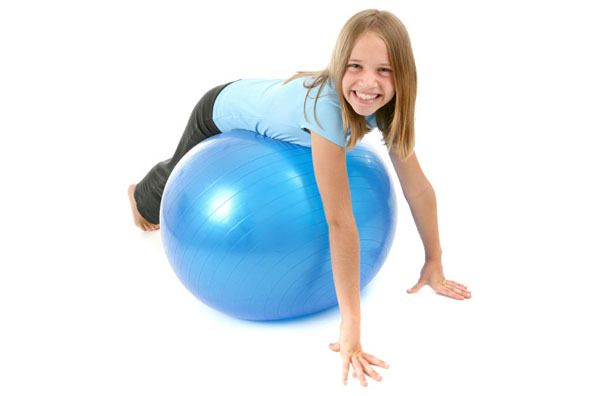 There are a variety of youth-oriented fitness products parents can buy including at-home yoga kits and child exercise videos and games. These would make great holiday or birthday gifts. ACE recommends children get approximately 60 minutes of physical activity each day, but that can be broken up into intervals anywhere from 10-20 minutes.